Queen butterflies at the National Butterfly Center on Nov. 18, 2018 in Mission, Texas. The 100-acre butterfly refuge, which is home to more than 200 species of butterflies, birds and native border vegetation, is in the path of a proposed border wall in the Rio Grande Valley. Last month, Congress voted to protect the Butterfly Center along with other natural and historical areas also in the path of that proposed wall, but some local leaders worry Trump’s emergency declaration will override those protections. Marianna Treviño-Wright, the Center’s executive director, said she used to spend her time planning educational activities for visitors from around the country and for students visiting on school field trips. But now, she spends most of her time plotting next steps in the Butterfly Center’s fight against a border wall. “We filed suit against the federal government in December of 2017 because the government sent contractors here in July of 2017,” she said. Treviño-Wright said the lawsuit hasn’t gone anywhere. She filed a motion for a temporary restraining order and preliminary injunction in February. “Why would we wait for our suit to be heard sometime after the border wall is built?” she wondered. President Trump’s proposed wall would potentially cut through the Center’s property, leaving about 70% of the refuge on the other side of the barrier. 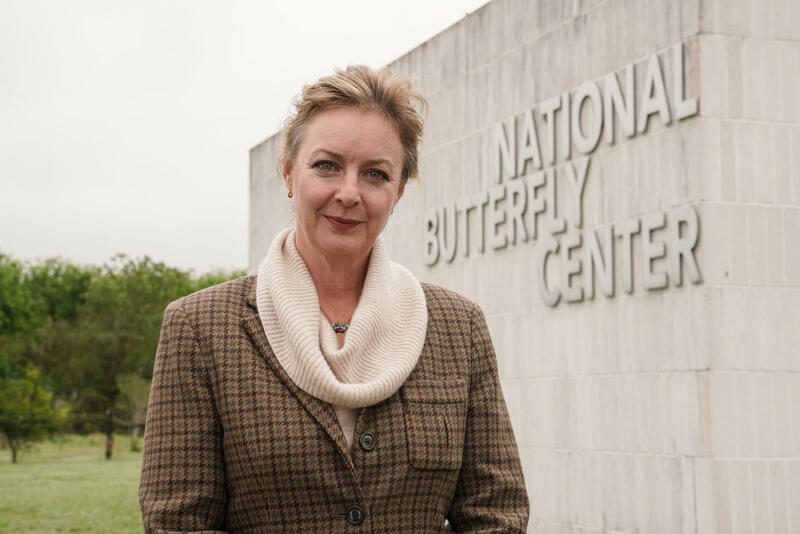 Treviño-Wright said she felt a brief sense of relief when she heard Congress was considering protections for the Butterfly Center. Marianna Treviño-Wright, executive director at the National Butterfly Center, poses for a photo at the Center in Mission, Texas. on Feb. 19, 2019. “We had a sense of hope that we’d be spared from the border wall by the language in the 2019 Homeland Security Appropriations Bill,” said Treviño-Wright. But that hope was short-lived. Treviño-Wright is concerned that any money President Trump gets through his declaration of a national emergency could be used to override the 2019 protections. Democratic Congressman Henry Cuellar’s district includes the Butterfly Center. He said it was tough for him to secure those protections. “This was literally the last thing that got added to the bill. The way the White House and some of my Republican colleagues were saying, ‘Oh, Congressman Henry Cuellar is trying to tie the president’s hands, he’s putting in all these restrictions,’” he said. Congressman Cuellar said promising full immunity to Trump’s border wall is not a reality because Trump is so obsessed with ensuring it’s built. Congressman Cuellar, who has faced protests from local constituents for even working on a wall compromise in the funding bill, said he promises to continue fighting to protect those areas. "The appropriation is good for one year, but every year I intend to put this language in and try to make it stronger," said Congressman Cuellar. Back at the National Butterfly Center, Treviño-Wright said she’s already seen an increase in local, state and federal law enforcement in the area in recent months. Luciano Guerra, outreach coordinator at the Butterfly Center, stands in a field of grass at the Butterfly Center’s wetland areas, where birds and other small animals often stop by. Luciano Guerra, outreach coordinator at the National Butterfly Center, poses for a photo at the Center in Mission, Texas. on Feb. 8, 2019. A helicopter zooms by overhead. “Every day we have helicopters flying over us. It does disrupt some of the peacefulness of what we’re trying to have here [in order] for people to enjoy nature,” said Guerra. Luciano Guerra has lived in the Valley his entire life and is a Republican. 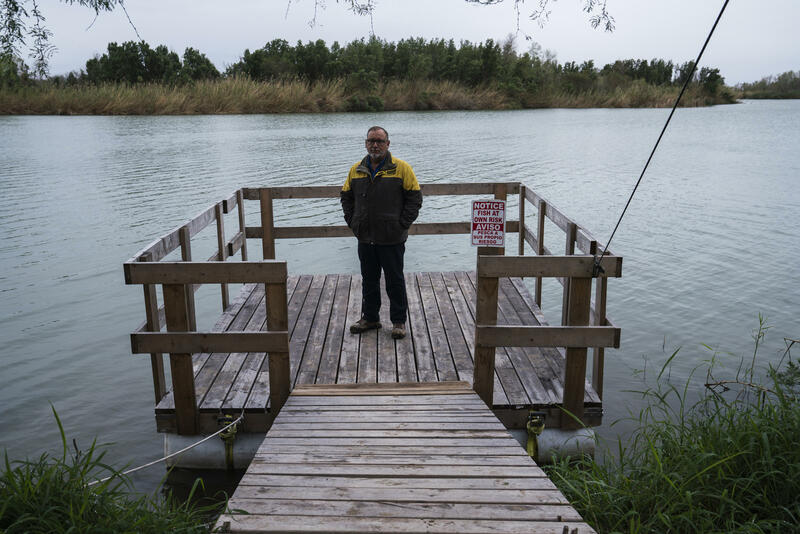 He says he never thought President Trump would deliver on his promise of a border wall, nor did he foresee the wall cutting through a place he loves so much. “I also figured that once he got into office he would find out that the Republicans, that Congress and the Senate would not let him do all these crazy things he wanted to do,” said Guerra. Guerra voted for Trump, but regrets it. He said he’s now made it his mission to combat the construction in any way he can, for the sake of his kids and grandkids. Trump’s emergency declaration is being challenged by 16 states, including California, New York and New Mexico. The Butterfly Center says they might file a lawsuit of their own.